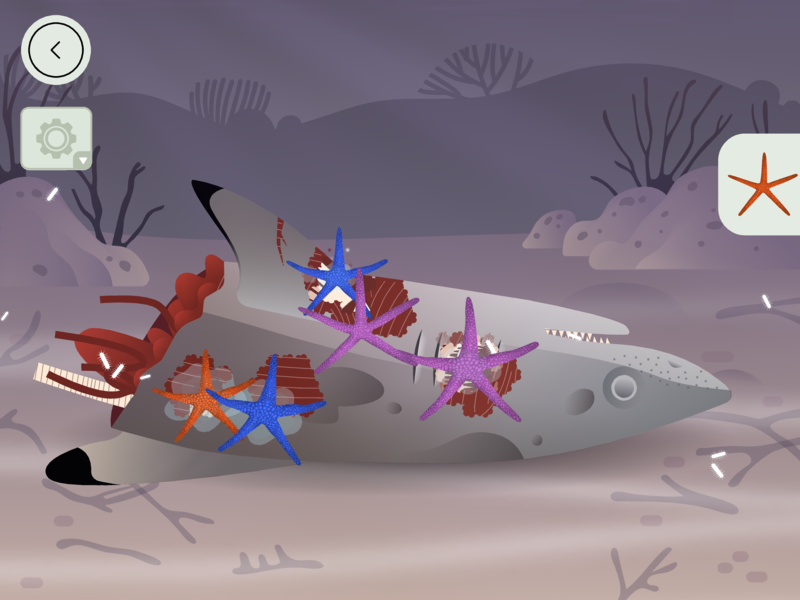 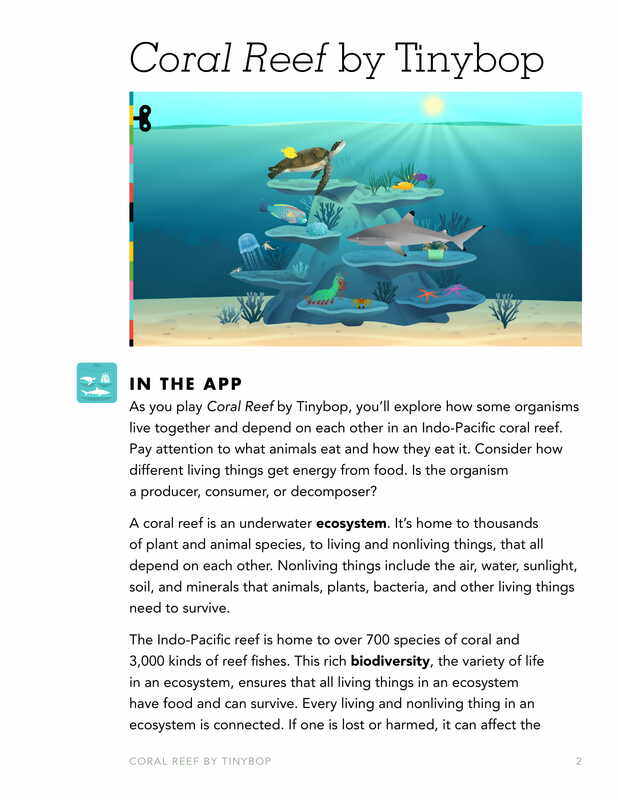 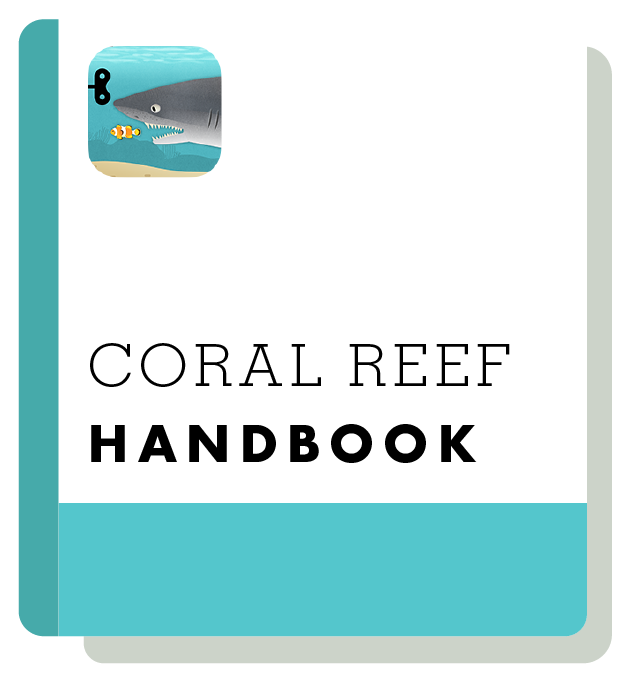 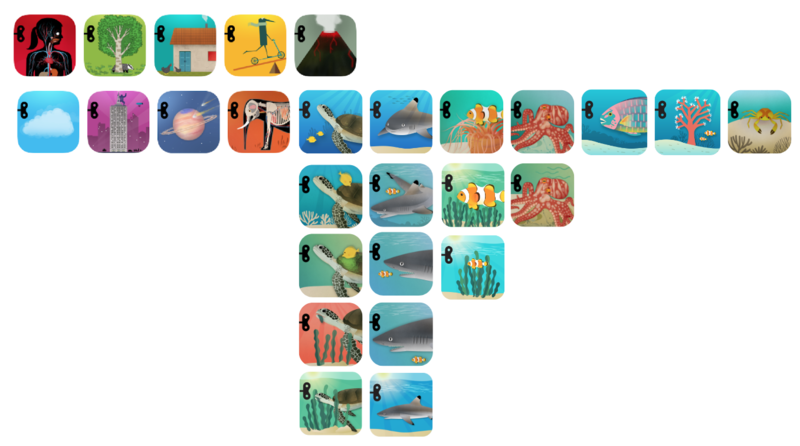 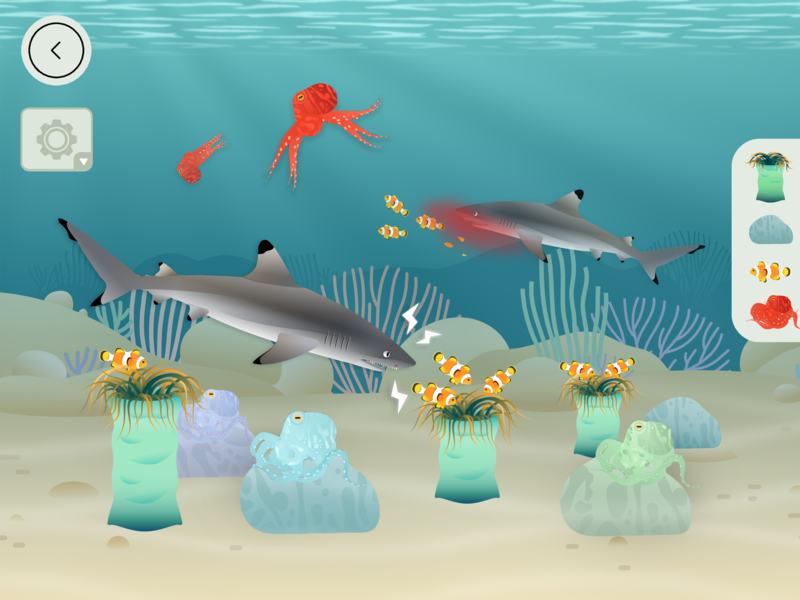 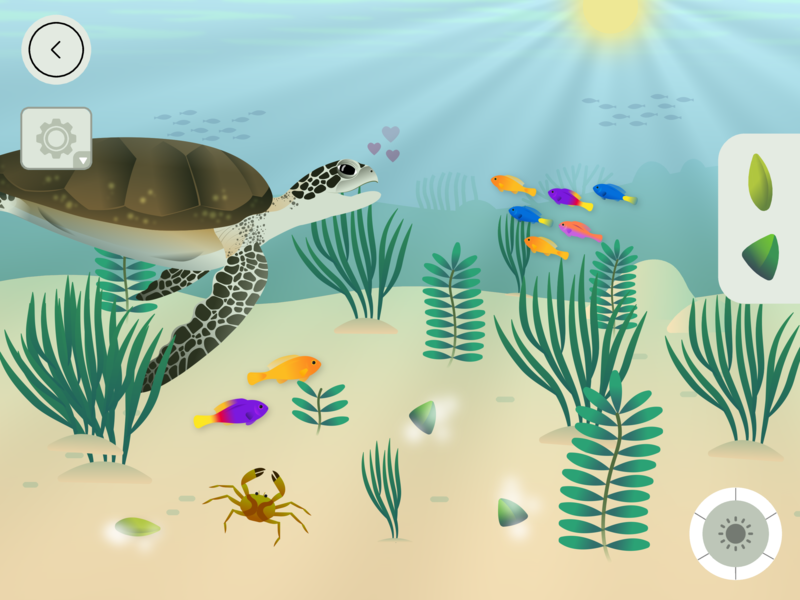 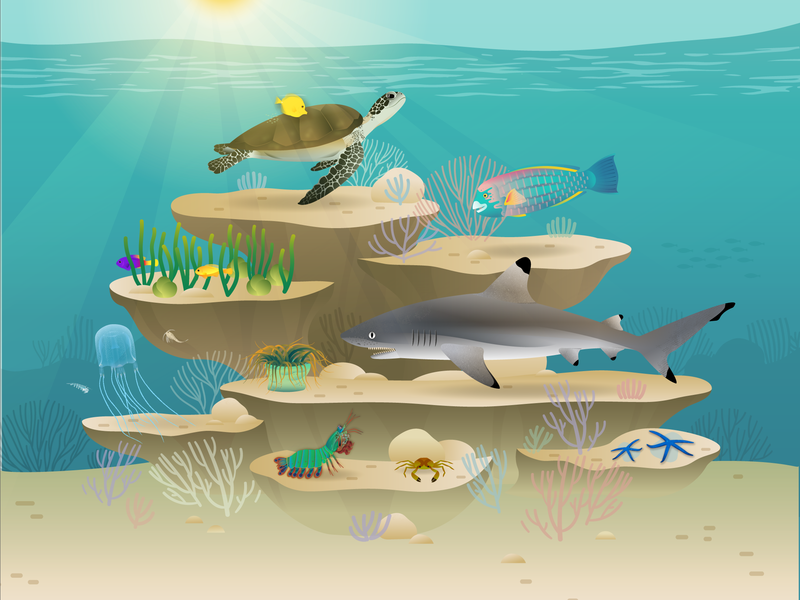 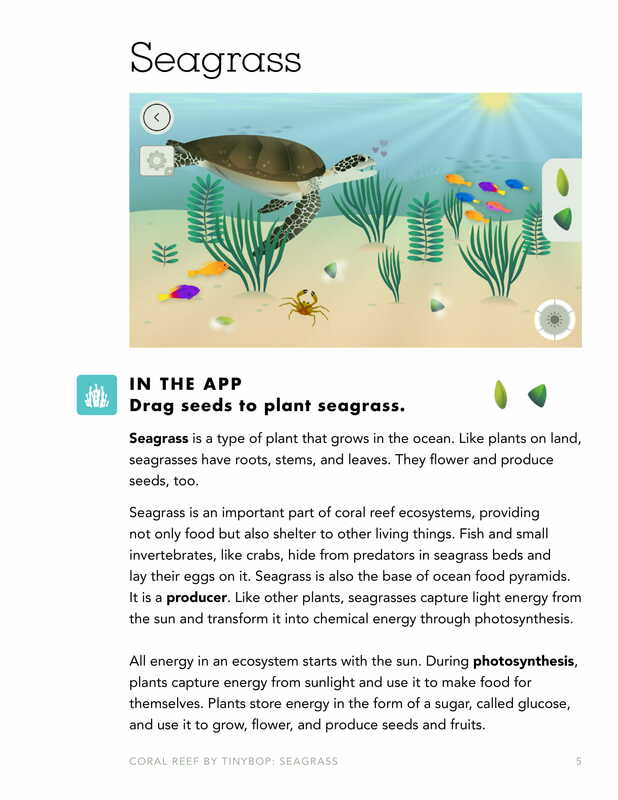 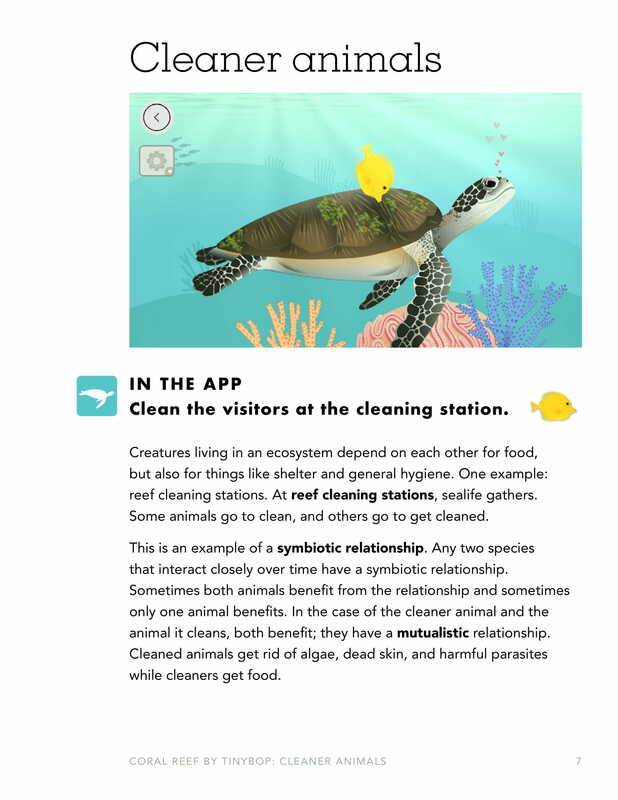 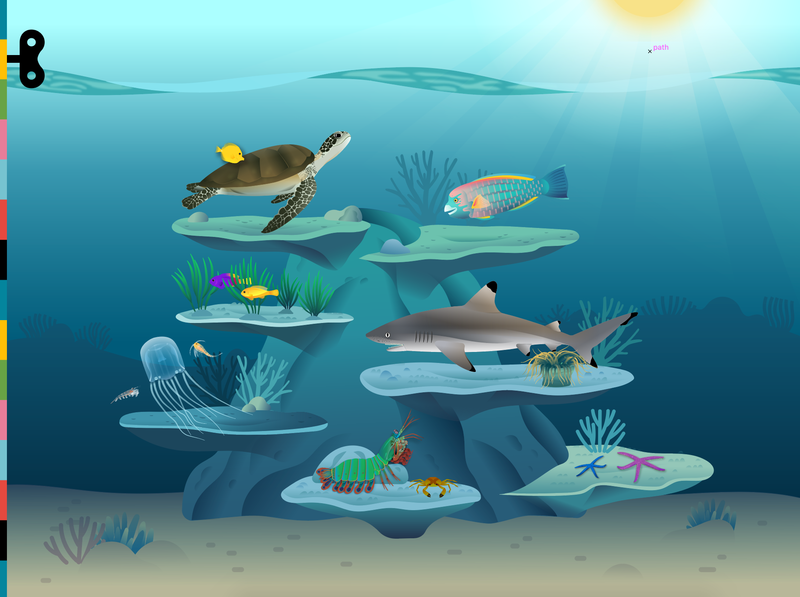 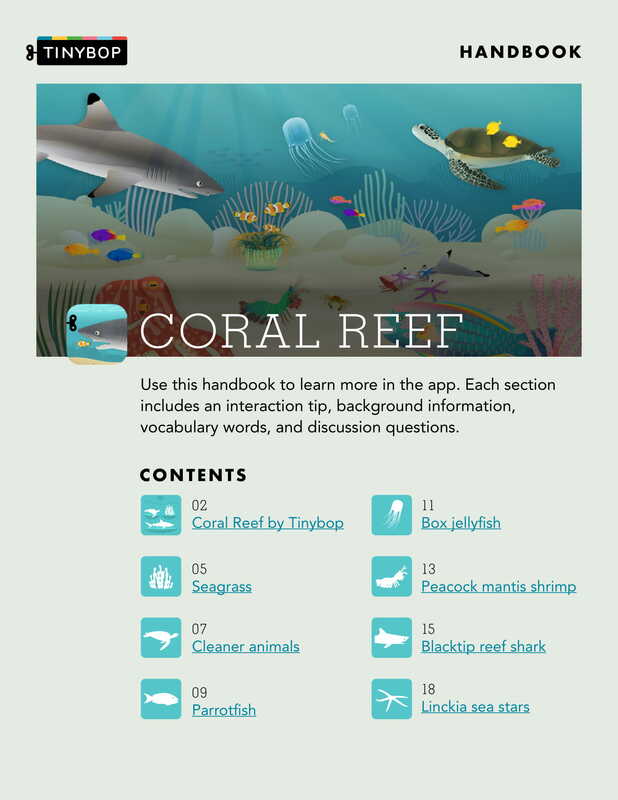 Coral Reef is Tinybop’s 10th app of The Explorer’s Library series. 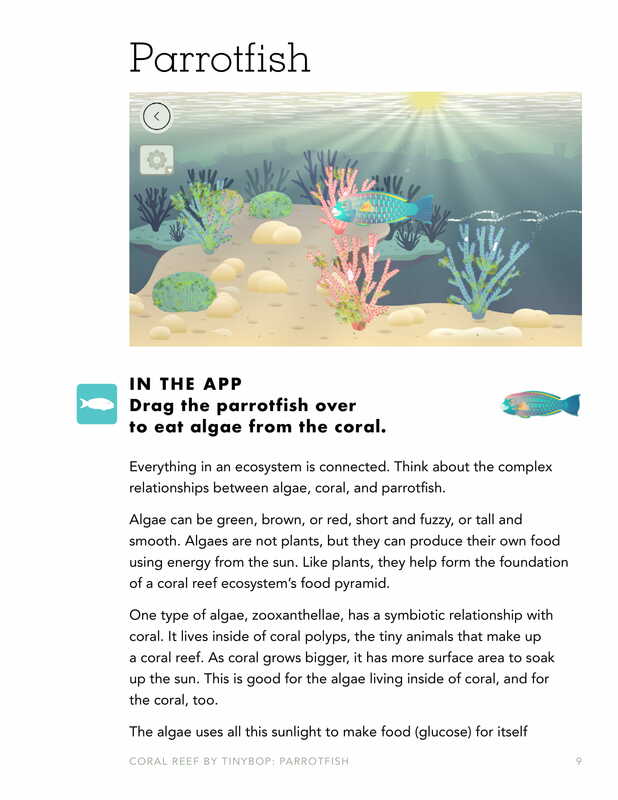 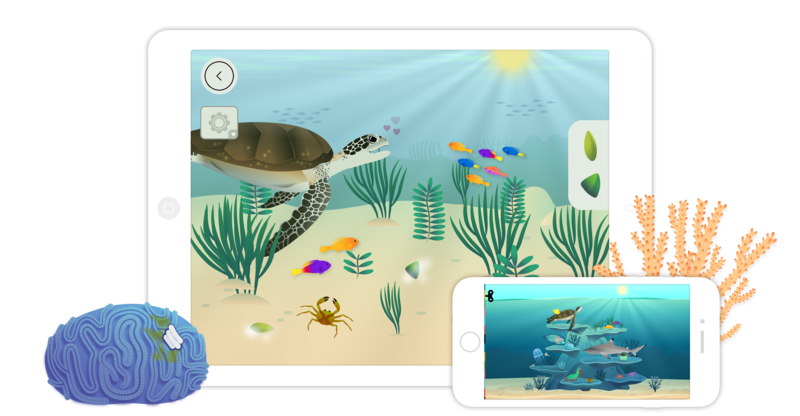 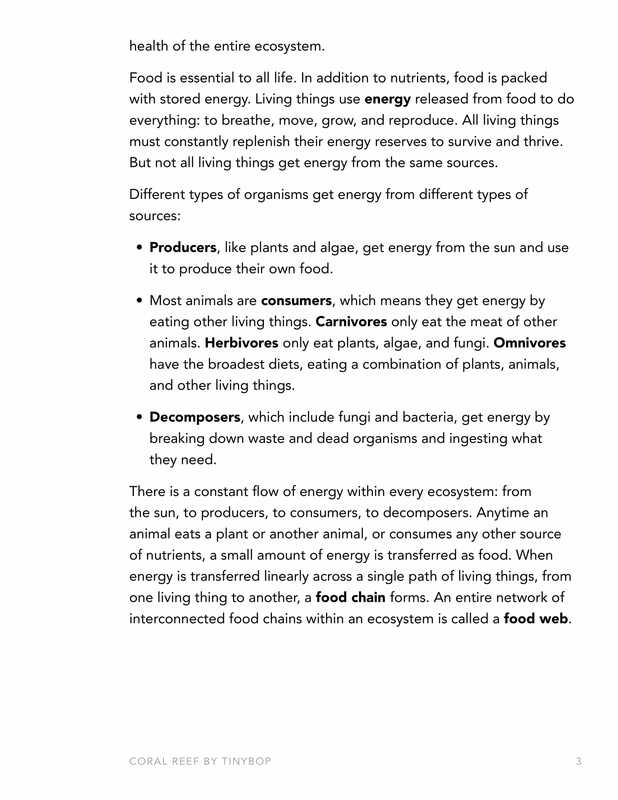 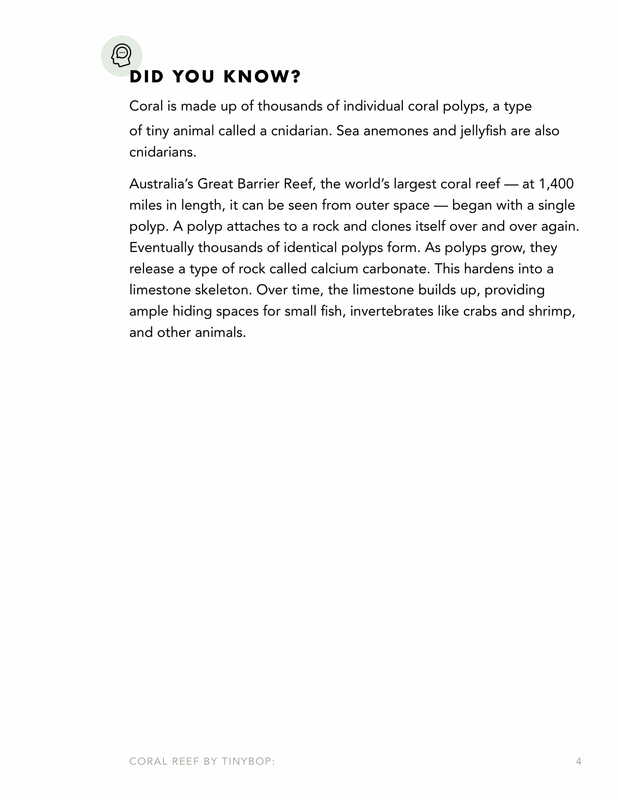 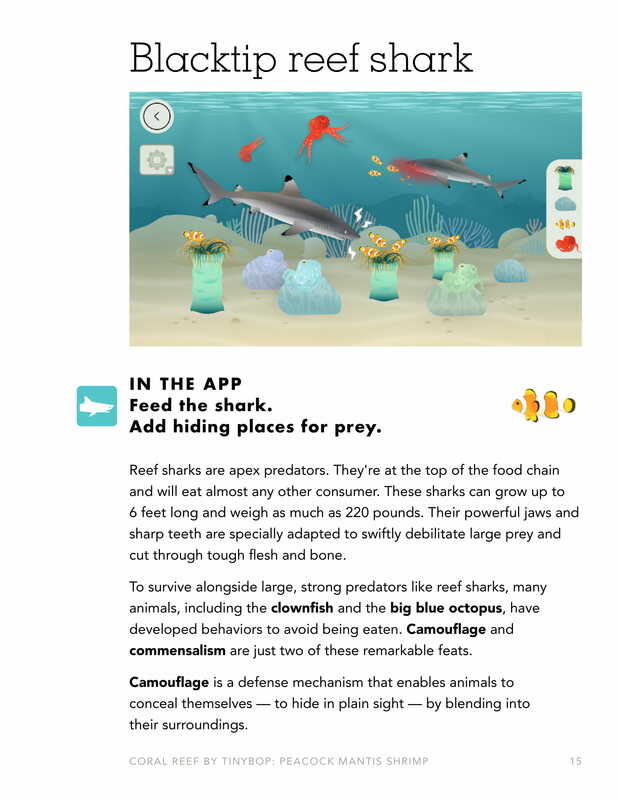 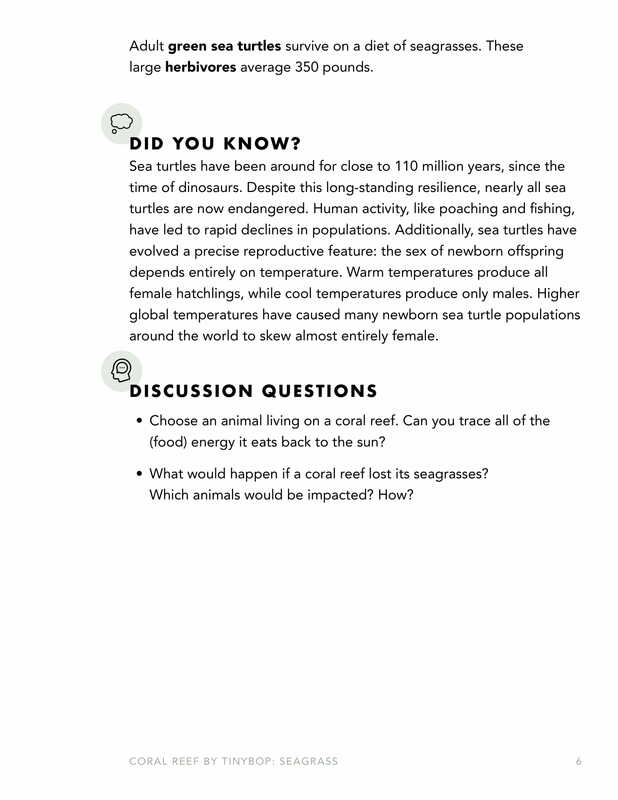 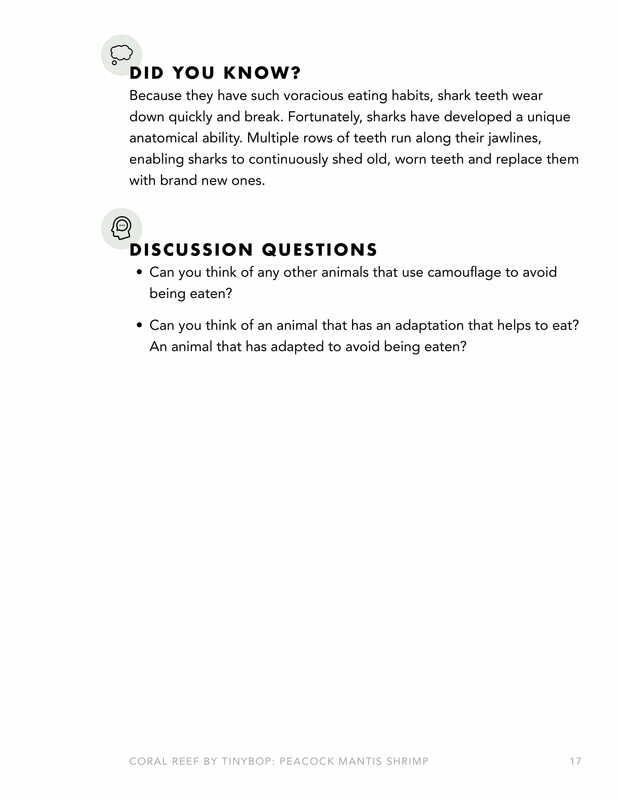 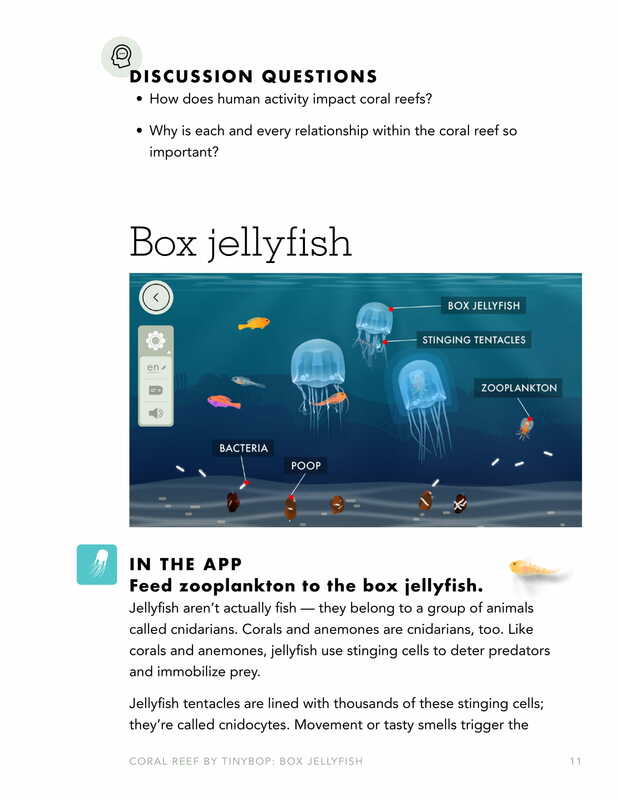 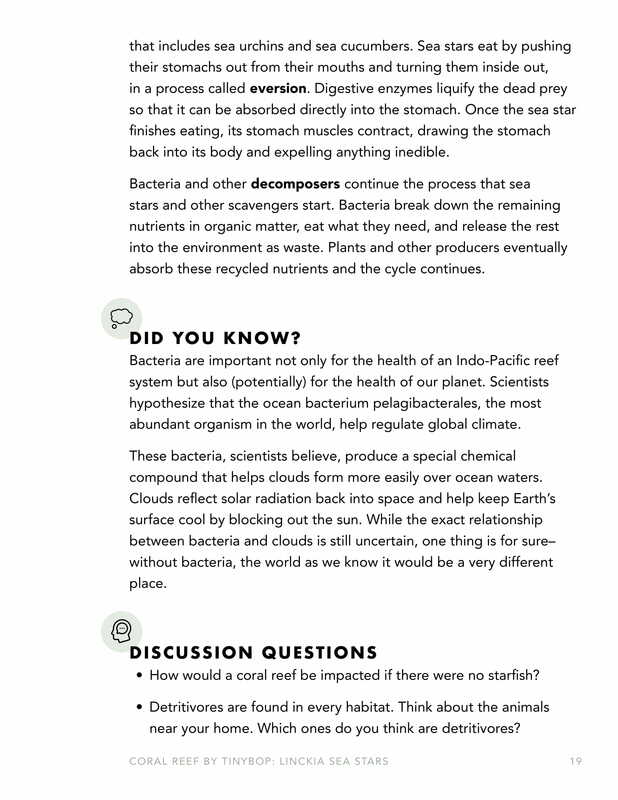 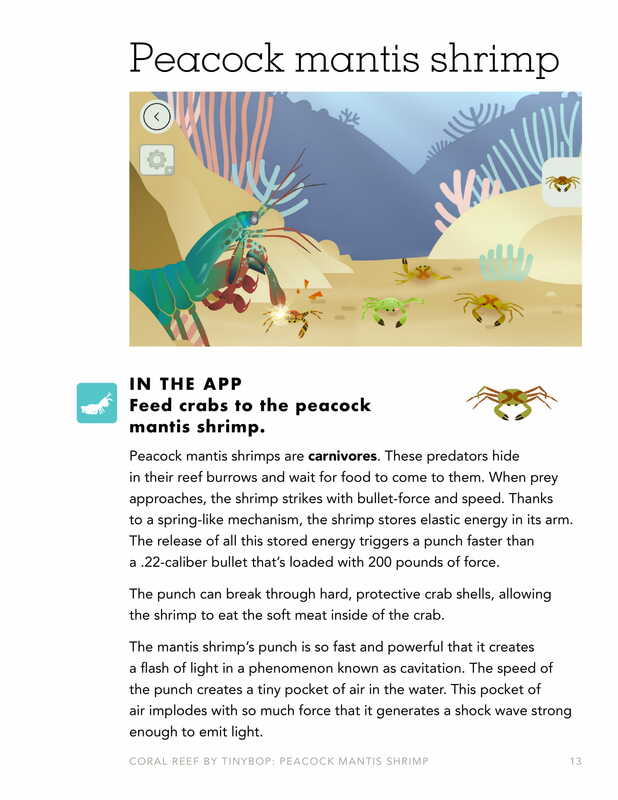 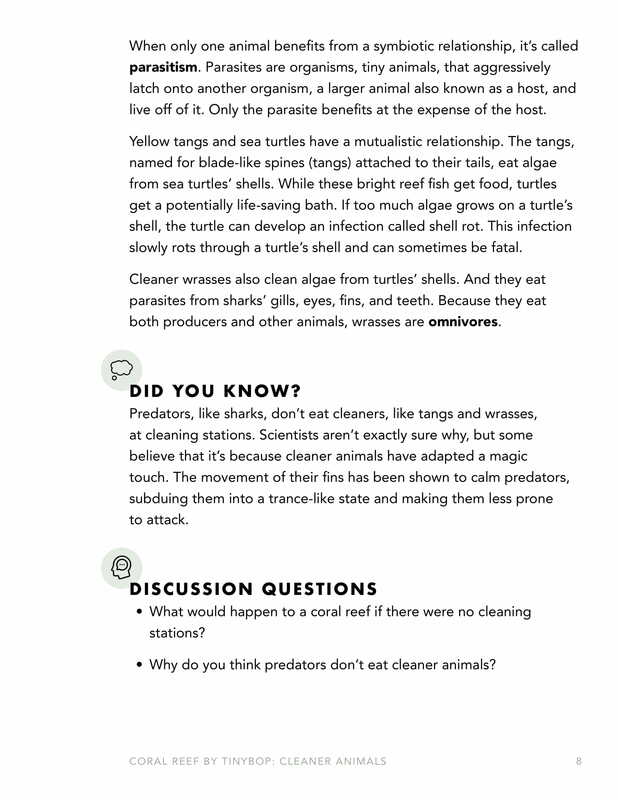 Coral Reef encourages kids to explore the complex relationships among living things in an ecosystem and the ways in which these living things depend on each other, and on the physical environment, for survival. 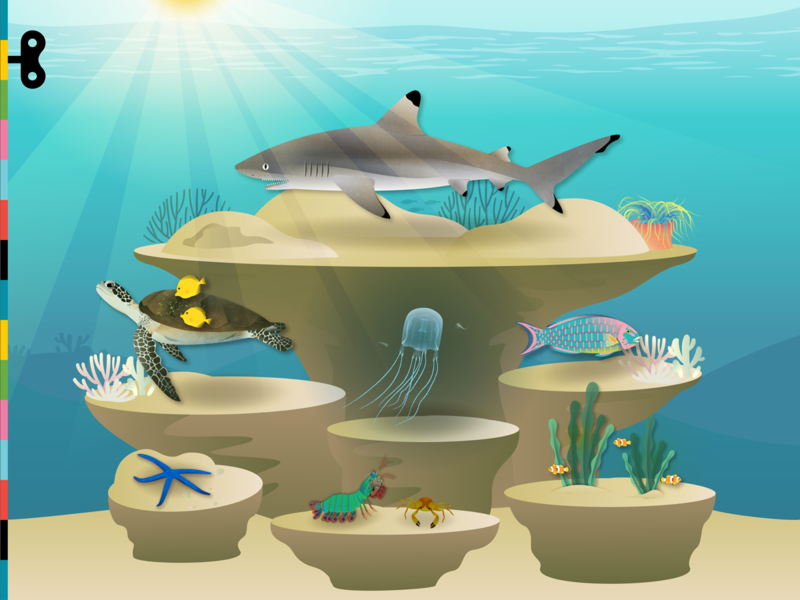 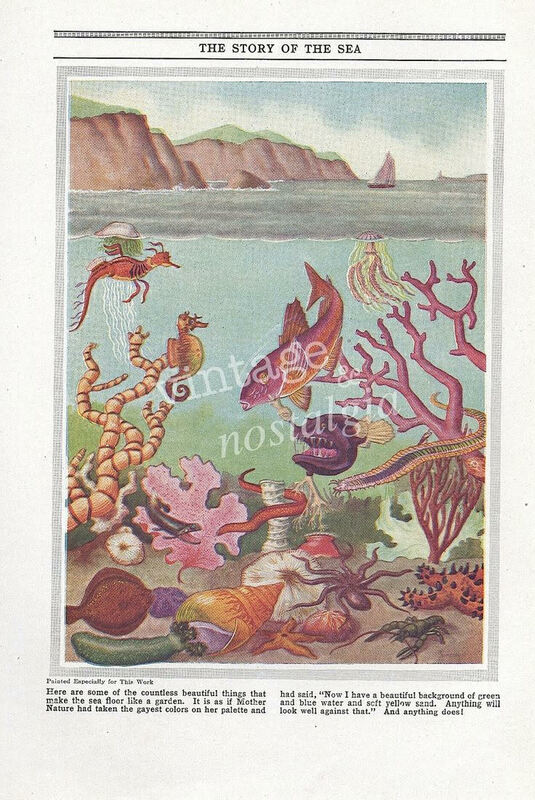 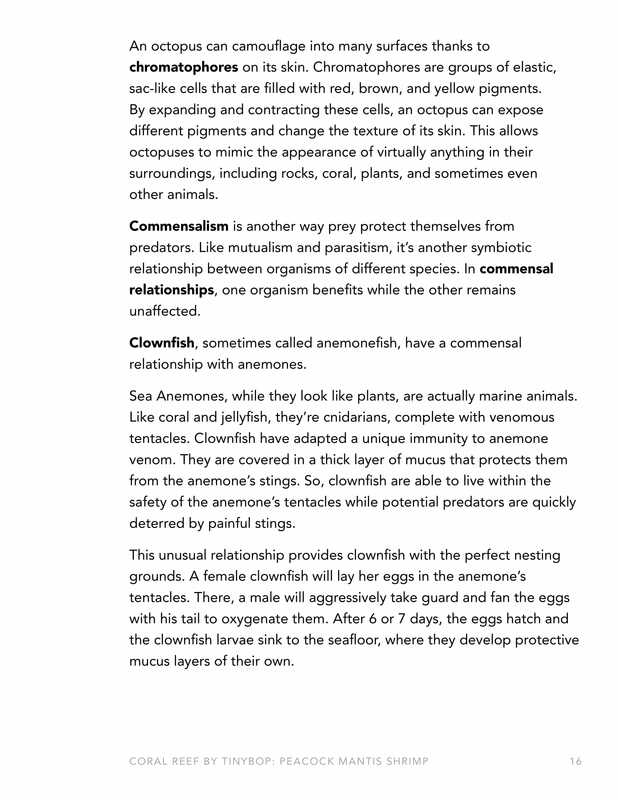 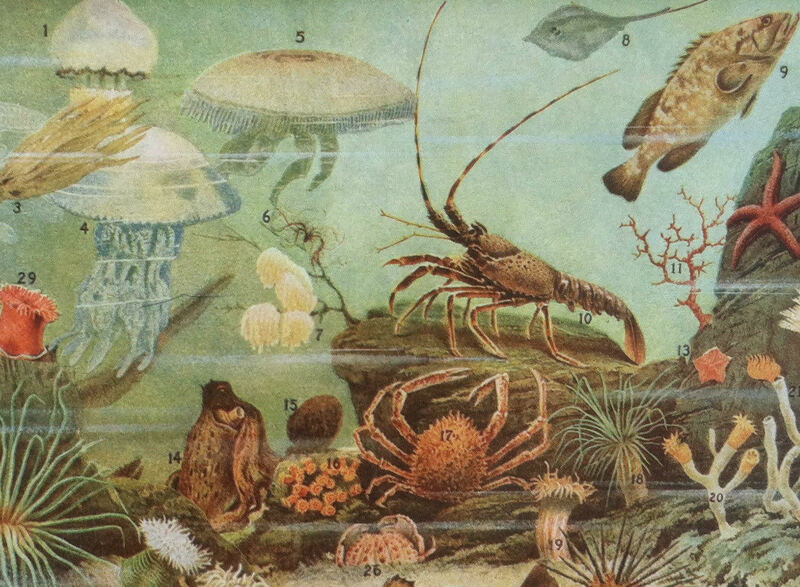 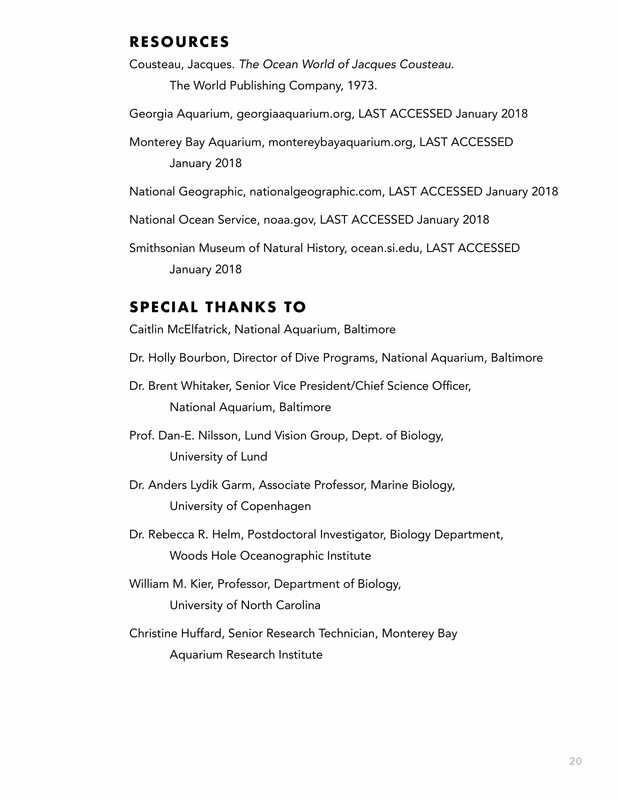 Sea creatures include black tip reef shark and octopus, green sea turtle and yellow tang, clownfish and sea anenome, parrotfish and coral, box jellyfish and zooplankton, sea grass, and linckia sea stars. 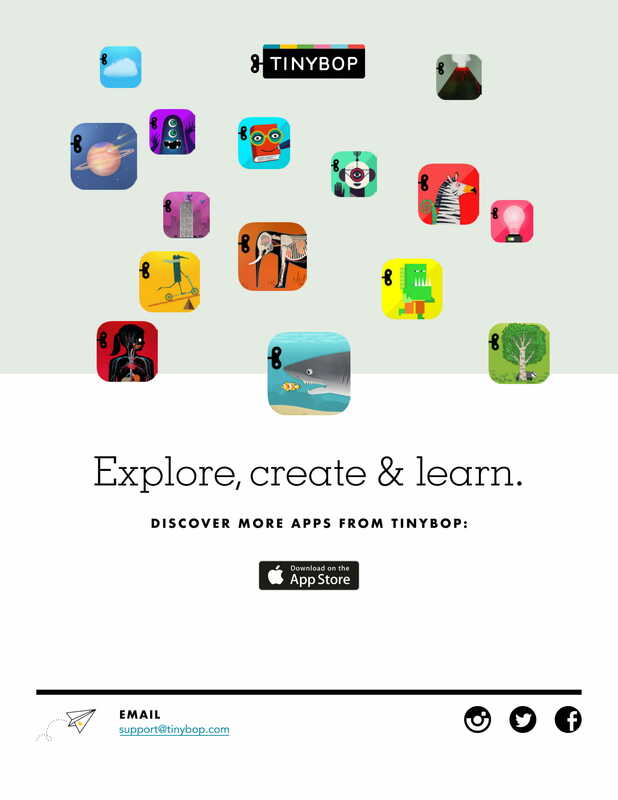 The app is available for iOS on the App Store and on web on Tinybop Schools in 40+ languages. 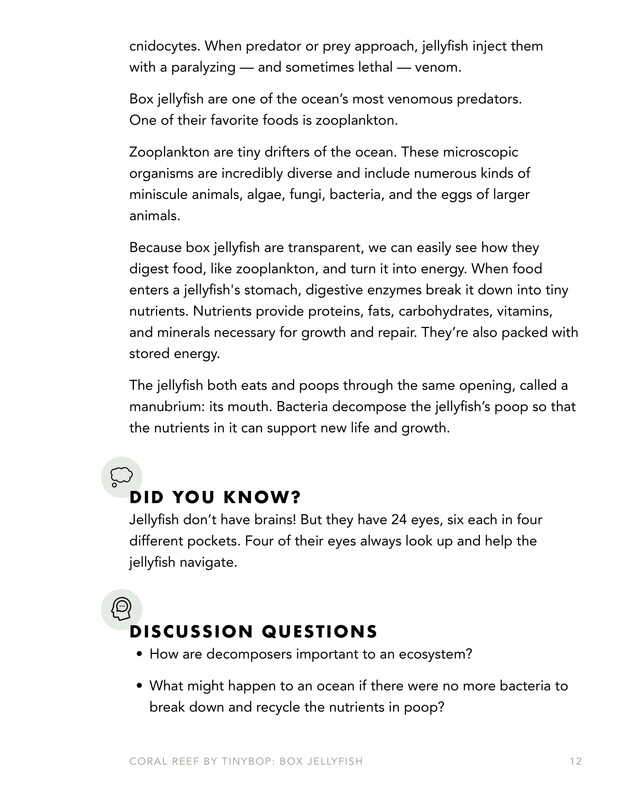 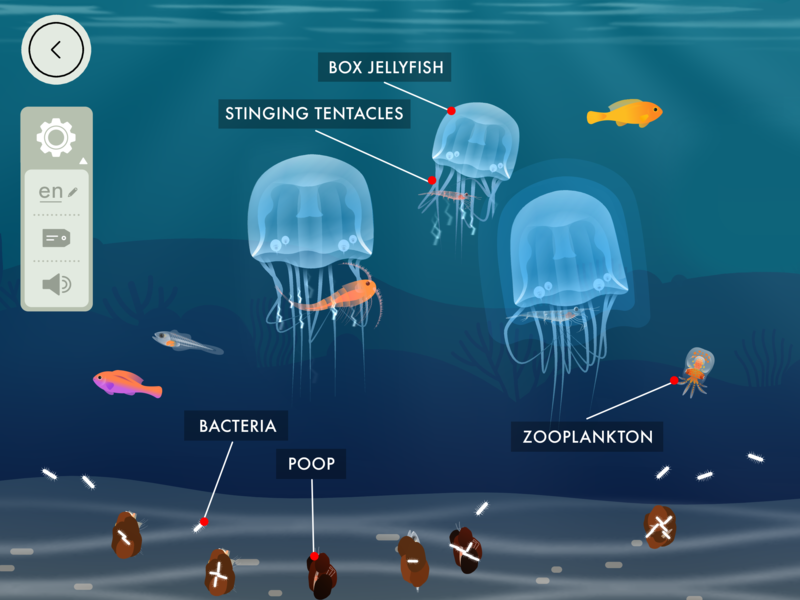 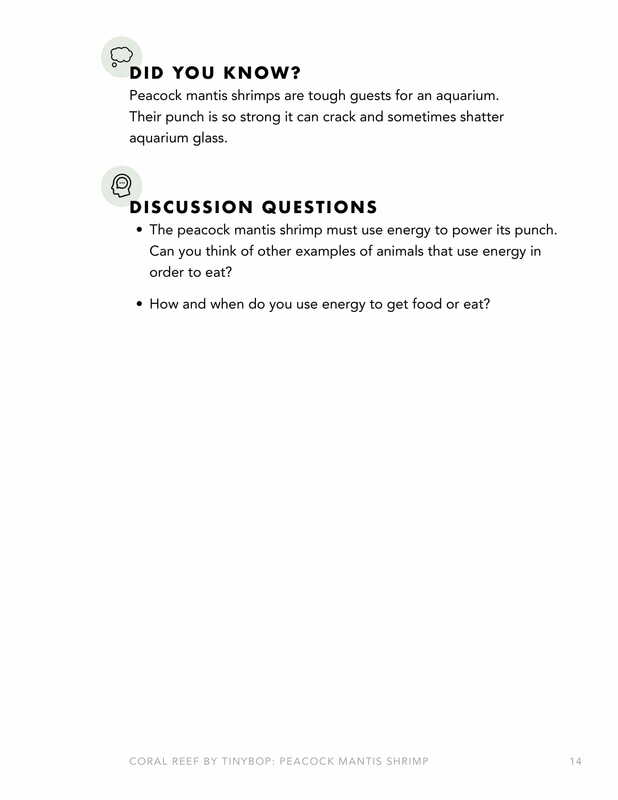 Box jellyfish feed on zooplankton and transfer energy to their prey. 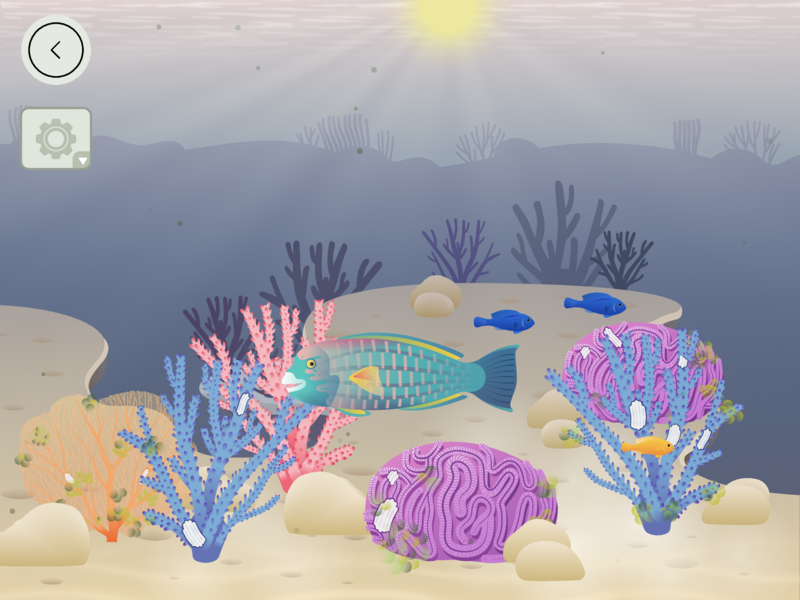 Ultimately their waste is fed on by other organisms in the coral reef. 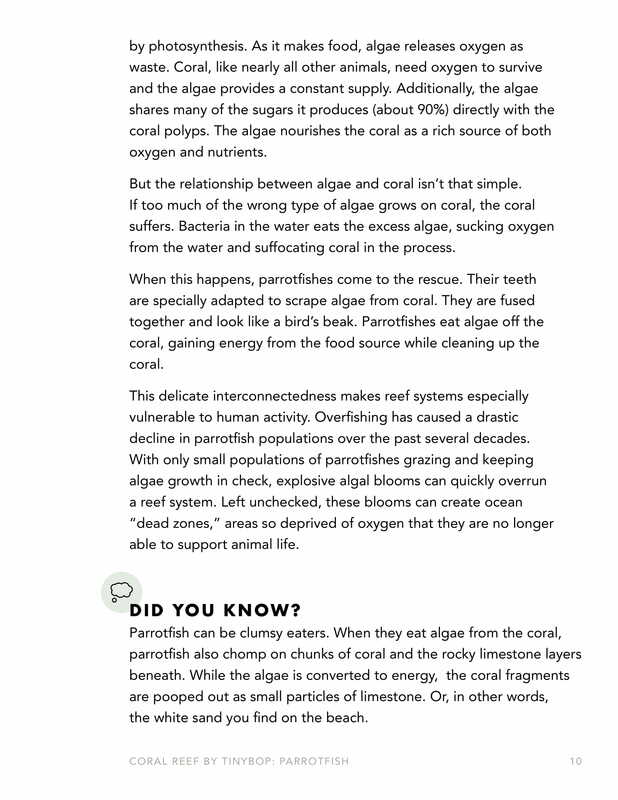 The relationship between algae, coral, and parrotfish is one that each play a critical role in their ecosystem. 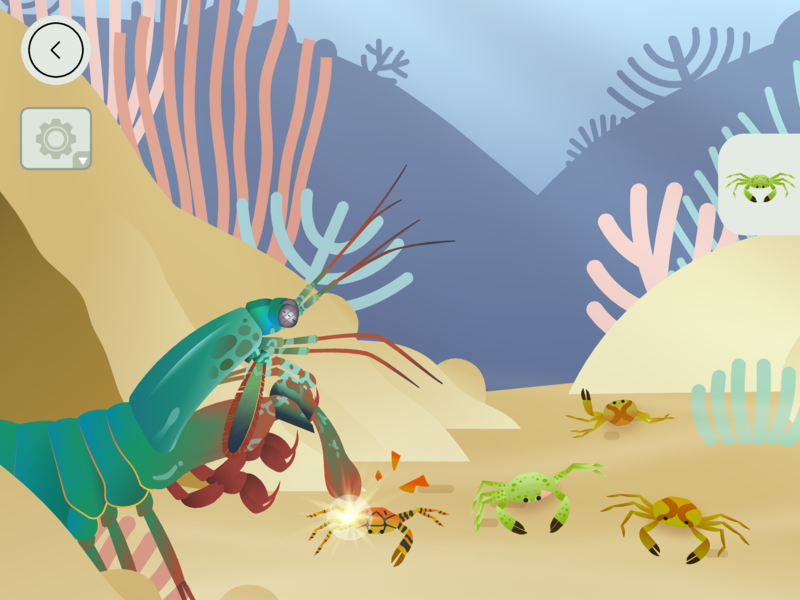 The mighty peacock mantis shrimp packs a punch so strong it emits a flash of light to combat its prey before hiding out in its cave to feast. 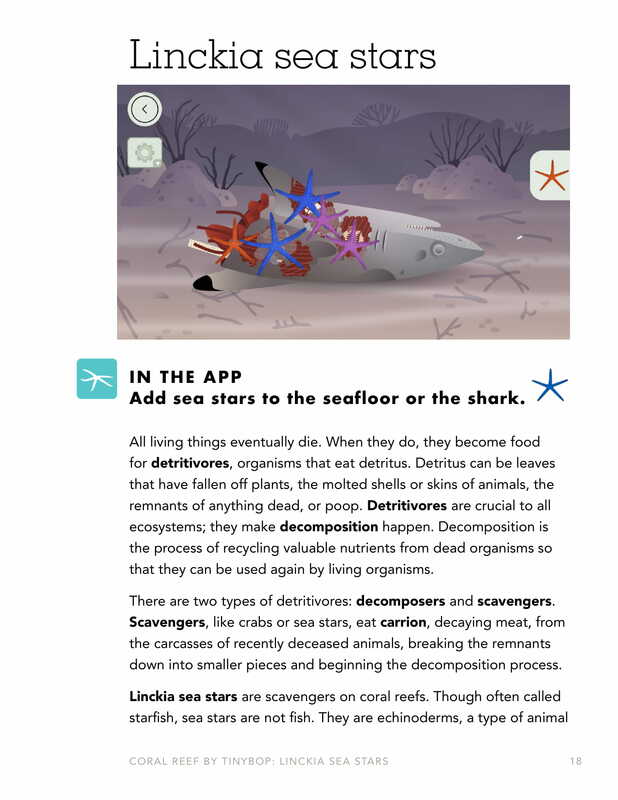 Linckia sea stars decompose dead animals with digestive fluids that break apart the carcass. 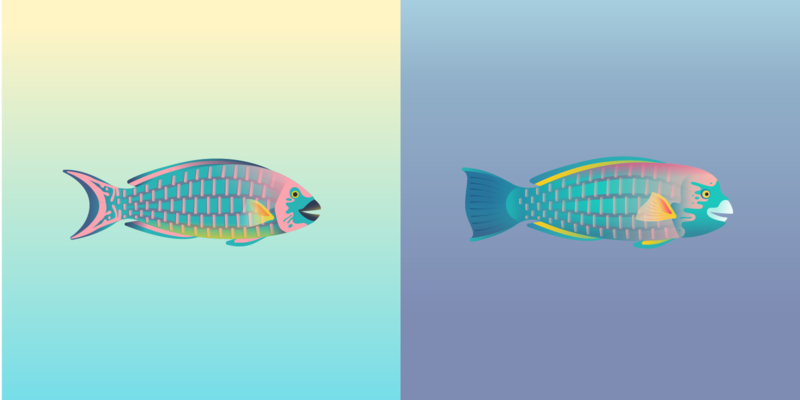 Parrotfish fine tuning to portray personality. 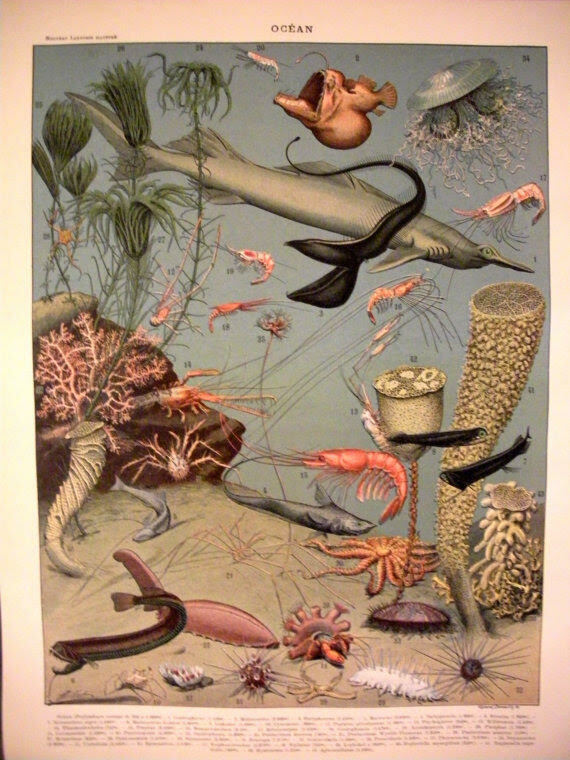 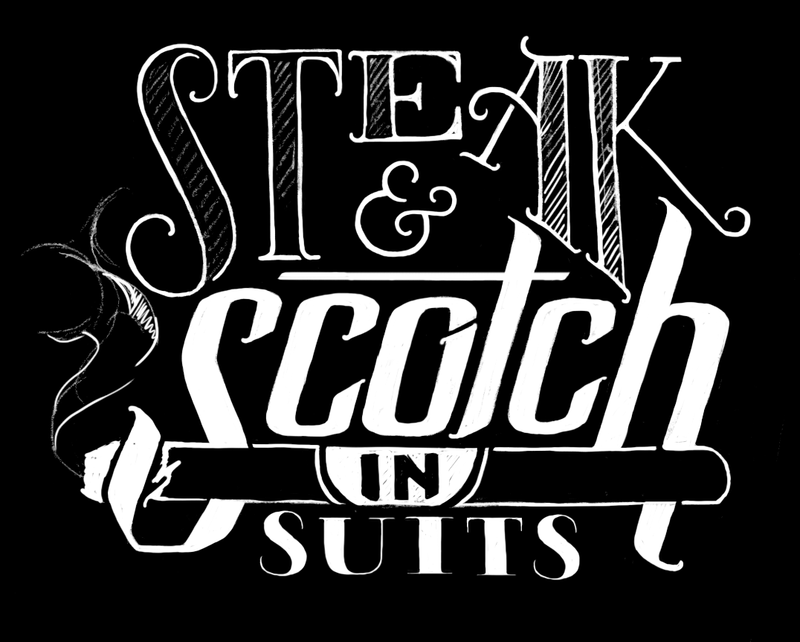 Image by Holly Graham.